#GE2015: Your Questions Answered 2: Where do the parties stand on education? What’s your take on the education policies of the major parties, and what impact might they have? This is a pretty broad question! First of all, “education” means different things to different people. But usually, when people talk about education, though, they’re meaning state schools, so I’m addressing that. If you want me to take on further and higher education, just let me know in the comments. What do the parties propose? With two manifestos now published, we have a very good idea of what Labour and the Tories would do in education. You can find a fuller list by either reading the relevant manifestos (here and here), or by consulting the BBC’s updated policy guide here. However, I tend to cut education policy differently to most people so my own summary follows! These all sound quite positive. “Real terms” means that the parties are going to take inflation (rising prices, a normal part of any economy) into account, and increase spending at least by the same amount to compensate. But the Institute for Fiscal Studies, a prominent economic think tank, has said that the impact might actually be negative overall, because these pledges don’t fully factor in other things such as increasing pupil numbers and staff wages. 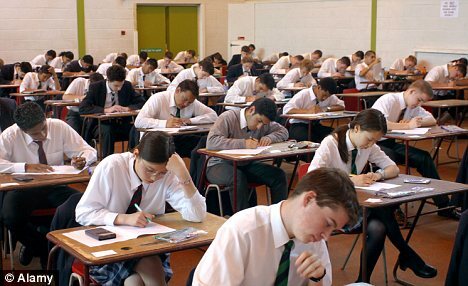 The Conservatives want to continue the “academisation” of the secondary schools sector, by forcing failing and coasting schools to convert. They also want to open at least 500 new free schools (270,000 places) – these are new academy-type schools. They’ll also parachute high-achieving headteachers into failing schools, if Ofsted says they require improvement and don’t have a good enough plan. Labour want to extend the freedoms available to academies and free schools to all schools, provided they are appropriate. They also want to introduce “Directors of School Standards” as a new way of monitoring school performance and intervening to improve it. They will also be responsible for commissioning new schools. They say they will end the Free Schools programme and use the funding to cap class sizes. Private schools will also be required to partner with state schools in order to continue to receive business rate relief. The Lib Dems’ policies will focus on greater collaboration and partnership between schools including, potentially, a new accountability model for academies. They would also set up an independent education authority to set the curriculum and monitor standards. They plan to open new schools only in areas with a shortage of places. They would also allow Ofsted to inspect academy chains. The Conservatives will create an independent College of Teaching to promote high standards. They’ll also reduce paperwork, introduce further bursaries for in-demand subjects, expand Teach First, and pay good teachers more. Labour want to ensure that all teachers in state schools are qualified. They also want to introduce a “Master Teacher” status for experts in their subject. They would also create a new College of Teaching, and will support Teach First. They would also create a new School Leadership Institute. The Lib Dems would prevent unqualified teachers in state schools, starting with academies and free schools from September 2016. They’d require a B grade in Maths and English GCSE for new teachers. They’d establish a Royal College for Teachers that would set professional standards. The impact on schools, regardless of who’s in power, will probably be a continuing need to restrain spending. That might mean restricting pay increases for teachers. Given there is already something of a crisis in teacher recruitment, and given a lot of teachers leave the profession each year, that could be a serious problem, especially as the number of pupils is already rising significantly. In turn, that might lead to even more pressure on class sizes. So it’s going to be challenging to maintain standards. A further wrinkle is the fact that further funding reform is likely. The coalition government was aiming to change the national funding formula so that it was more uniform across the country: there are serious historical problems with the current formula which have meant some areas losing out massively compared to others. The question will be whether a new government can do this without taking money out of some schools’ budgets. They’ll be keen to avoid that but it might be very hard to achieve. You’ll probably have noticed that there is actually a lot of overlap on many of the policies outlined by the parties. That’s because there’s really quite limited disagreement on the big questions of education policy. It’s universally agreed, for instance, that schools should have more independence and freedom to make their own decisions; that teaching should be considered a “profession”, with all that that entails; that funding should be protected; and that there should continue to be attempts to increase accountability and improve standards – if necessary through quite drastic interventions. Teachers who yearn for a quieter life aren’t going to get it; there’s probably going to be as much pressure, if not more, under any colour of government from 2015 onwards. On the plus side, there will probably be more jobs to go for as schools expand, the recruitment crisis deepens, and pay differentials become more pronounced – in particular, academies are likely to be fighting hard to hire the best staff. As such I’d expect to see a continuation of the current trends. I don’t think anyone should expect the kind of revolution we’ve had in the past five years, with radical changes to almost every aspect of school life – curriculum, oversight, standards, targets, and the rest. It’s generally acknowledged that there’s been a lot of change; letting that bed in, perhaps with some tinkering around the edges, is likely to be the order of the day from 2015-2020.